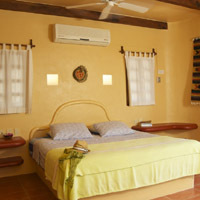 Bedrooms: 2 Master Suites + 2 optional garden bungalows. 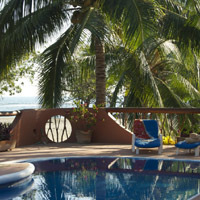 Casa de Oro is available as a full-property vacation rental, ensuring that all of our guests have complete privacy and access to our beautifully landscaped grounds and wonderful pool. 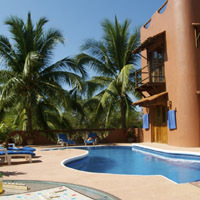 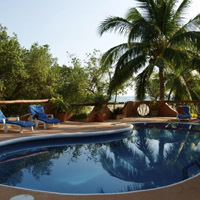 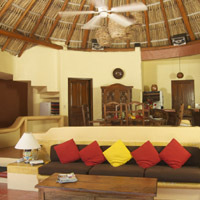 Our primary rates include the main villa with two master suites. 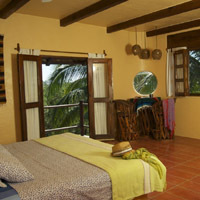 We also have two smaller bungalows in the garden that can be added to the rental.